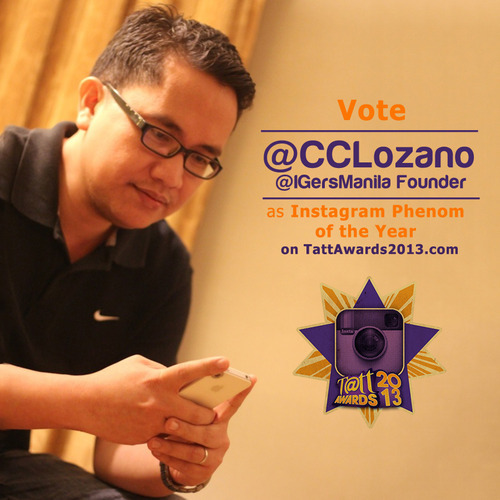 @IGersManila’s founder, @CCLozano, is a finalist in the Tatt Awards 2013! If in one way or another, #IGersManila has served as an inspiration for you in keeping the good vibes rolling, vote for @CCLozano as Instagram Phenom of the Year! Just login to the TattAwards2013.com. #Fluid111: How far will you go to get what you want? Anonymous on Of Endings and New Beginnings. Anonymous on Real Virtual Friends.